Every year a large number of aspirants who dream to secure top IT jobs for themselves enroll for IITJEE exam. Last year, around 4.5 lakhs of aspirants enrolled for 10,000 IIT seats. As the number is growing each year, the competition is also getting tougher every year. It is essential to build and follow the right strategy for cracking the IITJEE exam. Whether you prepare for any exam, planning a strategy and following it with the self discipline helps you to climb the ladder successfully. • The best time to start preparation for IITJEE is class 11th. Start your IIT JEE preparation at the beginning of class 11th. It is the time when the most of the students are ready to give a fresh start for studies after an interval from board exams. In this way, students can give significant time to IIT preparation including class 11 and 12 summer vacations. It will also help to grab powerful hold on the important topics which are part of class 11th as well as the IIT syllabus. 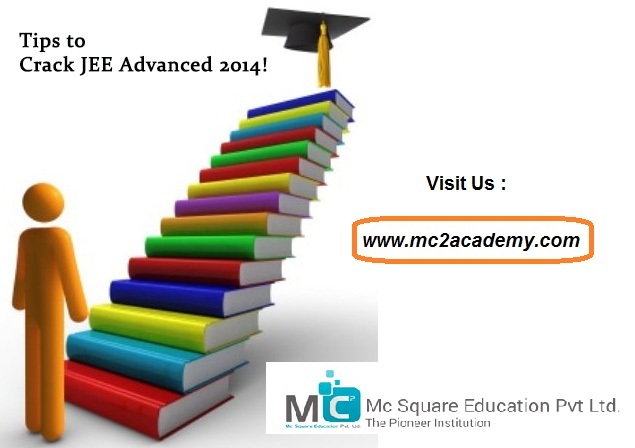 • Course planning is an essential key to crack any competitive exam. As screening test for IIT are conducted from class 11th onwards, so it becomes more important to plan your course in 11th class itself. Take help of your teachers, siblings and seniors who have already passed the exam to make a right strategy. Also, gather study materials like best referred text books, IIT sample papers etc. • While planning your strategy for IIT exams, you can make a plan to devote first two months in revising your basic concepts such as algebra, mechanics taught in 9th class and going through IITJEE sample papers for a getting an idea for exam pattern. • In screening paper equal weight age is provided to all three subjects i.e. physics, chemistry and Maths. Marks are also deducted for wrong answers. So it is of crucial importance to grasp all the concepts through regular practice of IIT sample papers. Around one month before exam, get yourself acquainted with a wide variety of topics and make sure to revise all the important concepts and formulae to grasp them on tips. • Taking help of IIJEE sample papers helps a lot in preparation for the exam. These IIT sample papers are framed as per the latest sample papers, exam pattern and the pattern followed in previous years in assessment. After completing your preparation, solving IITJEE sample papers one by one helps you to improve your skills. Many online portals have also been emerged, which are guiding students through providing tips, tricks and study material such as IITJEE sample papers and other content for cracking the exam successfully. A lots of educational web portals are also helping students to crack various competitive exams such as IIT-JEE, AIEEE, and Olympiad successfully through providing quality content and valuable guidance.